This is the incredibly gripping rags-to-riches story of a third-grade drop-out who outsmarted engineers on bridge construction and chemists on steel alloys. 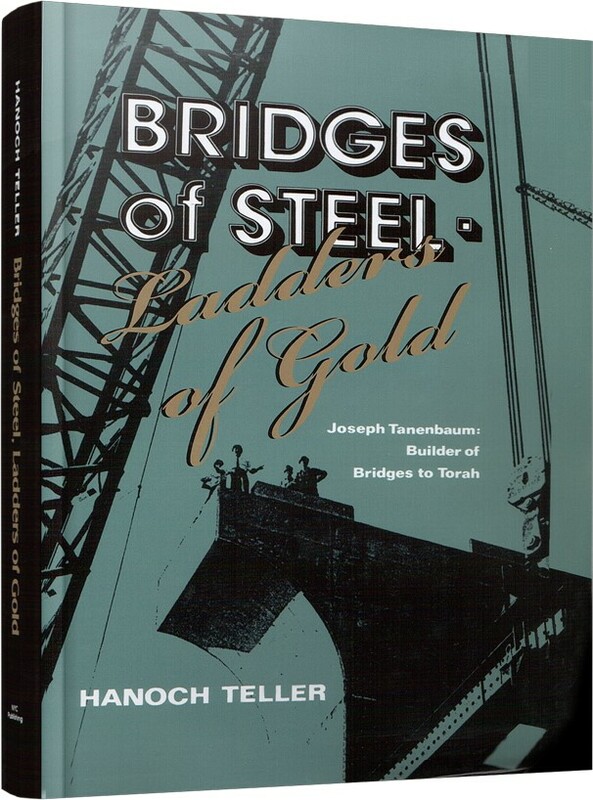 Once considered the “most unlikely to succeed,” Joseph Tannenbaum not only turned the steel and crane industry on its head, but rewrote the book on Jewish philanthropy. He personally endowed thousands of Jewish institutions, and transformed the way educational organizations appeal for philanthropic support. QUINCEY, ILLINOIS: the great American Midwest. Rich brown soil. Hard-working citizens. Freckle-faced children. Strong families. Homecoming queens. All-American quarterbacks. Marching bands. No accents, and not too much pollution. Quincey, Illinois: Everytown, USA, embodiment of the American dream. 2.2-2.5 children per family, recent-model car in the garage and, of course, a modest parcel of land for one's own home. But Quincey, truth to tell, was never intended to accommodate the entire population of 40,000 that currently calls it home. In fact, the visitor gets a certain sense of bulging at the seams when passing through this Lilliputian metropolis, and while quaint, narrow lanes and rustic roads adorned with neatly manicured lawns still surround the town's central hub, apartment complexes have come to dominate the downtown area. Quincey, Illinois: 10,000 heads of households (as the sociologist would have it) seeking 10,000 jobs. In the heart of this all-American town stand two impressive structures, both essential to the local economy. The first is Veterans' Hospital, a major employer in the area and home for hundreds of disabled war veterans too incapacitated to live with their families or too alone to have families with whom to live. The second is a factory known simply as Can-Am. Can-Am Industries Inc., formerly the Firestone wheel plant, was constructed with the gracious cooperation and active encouragement of the Quincey city fathers. Their Honors had hoped that it, too, would one day become a major employer. The best laid plans of mice and city fathers, however, often become considerably more complicated than either might have anticipated. While U.S. foreign policy in the 1950s, '60s, and '70s virtually guaranteed that Veterans' Hospital would never want for patients, the policies of Quincey's labor unions during the same period made the Firestone plant's future far less certain. At the peak of a recent recession, at a time when property values had plummeted to a fraction of their real worth, Firestone found it was no longer profitable to operate Can-Am. Enter Joseph Tanenbaum. JT, as he is known, has what can only be termed a "nose" for sniffing out business deals, an uncanny ability to detect a bargain even when market conditions strongly discourage investment. The septuagenarian purchased Can-Am for just six million dollars, a tidy sum albeit, but a genuine metziah price for a one-million-square-foot manufacturing facility. Tanenbaum did not do too badly on this particular venture: it took him all of two years to recoup his investment. Joe's rescue of what is today Quincey's largest employer did not go unnoticed. When a gala celebration on the grounds of Veterans' Hospital was proposed for Memorial Day of the U.S. Bicentennial, the citizenry decided that the centerpiece of the celebration would be the presentation of an award. The award, it was planned, would go to the individual who had provided the most jobs for area veterans. And the most obvious candidate for that award was none other than Mr. Joseph Tanenbaum of Toronto, Canada. Somehow or other, the bulk of Quincey's inhabitants crowded into the hospital's auditorium that Memorial Day, bright-eyed children and their smiling parents proudly waving miniature flags in a dazzlingly kinetic display of the Stars and Stripes. The crowd's ebullience would have done George M. Cohan proud. The program opened with a hands-over-heart rendition of the national anthem, followed with an address by a marine in crisply starched uniform and regulation crew cut. To the cheers of thousands of Quinceyites, he solemnly swore his willingness to give his life for his country. The local congressman took the podium next to deliver a heartfelt call for patriotism and an equally heartfelt, if less than subtle, call for reelection. And then it was the congressman's pleasure to invite the guest of honor to step forward and receive his award. "On behalf of the township of Quincey," he began, "it is my great privilege to call upon Mr. Joseph Tan, Tana, er. Tanaba, um, Tanenbaum to receive this decoration for employing the most U.S. war veterans in the area." Deafening applause erupted as people craned their necks to catch a glimpse of the world's first Quincey Prize laureate. The honoree, however, was nowhere to be seen. In his rumpled and crumpled raincoat, dark felt fedora set back on his head, Joe Tanenbaum, all five feet three inches of him, was struggling to penetrate a wall of nature rugged Americans raised on U.S. Government Inspected, Grade-A, Midwestern beef. Looking for all the world like a retired and aging schoolteacher who had always purchased his clothes at budget store end-of-the-season-closeout sales, he could not, try as he might, advance through the assembled, who were pressing ever closer to the stage to catch sight of the great industrial tycoon. Time seemed to stand painfully still, but Joe Tanenbaum is nothing if not persistent. History records that he reached the dais that Memorial Day but that he did so only to be greeted by an awkward gasp from the audience. The good people of Quincey had never actually seen a millionaire, so it seems, or even a Jew for that matter, and what their eyes beheld shattered their stereotypical image of both. Unfazed, the little man nonchalantly ambled over to the podium to accept his award as a blinding array of camera flashes burst across the stage's apron. With Joe's acceptance of his award, the narrative becomes a bit fuzzy. The record of events seems clear enough, but for the dynamic that developed there at Veterans' Hospital between Joe Tanenbaum and the good people of Quincey, there is, to this day, no universally accepted explanation. Now, Joseph Tanenbaum enjoys a richly deserved reputation as a man of valor, although it is said that discretion is the better part of valor. JT was never one to be discreet. Had he accepted his award quietly that day, expressing his thanks and humbly sitting down, all would have concluded that the day's honoree was indeed a man of discretion. Had he accepted his award quietly and stood down that day, many would have concluded that the honoree was a man of valor. But Joseph Tanenbaum did not return immediately to his seat. Instead, he remained there at that podium and signaled that he wished to make an acceptance speech. Joe's confidants in the crowd could be heard to mutter, "Oh, no!" Famous for big-hearted philanthropy, industrial resourcefulness, and real estate acumen — not to mention creative genius — Joe was not noted for his competence as a public speaker. When he addressed the various Jewish audiences that frequently honored him, his train of thought was often sidetracked and, upon occasion, even disjointed. Nonetheless, his audiences loved him like a grandfather. And if one's grandfather makes embarrassing errors when he speaks before large crowds, he only endears himself all the more. But here, in front of 15,000 gentiles who had never seen a Jew, and had just heard two powerful speakers gush and mush about patriotism and Americanism... well that was a decidedly different kettle of gefilte. Joe's friends coughed. Joe's friends cleared their throats. Joe's friends perspired. And Joe's friends hoped... that his manner of speech might make his English difficult for the local yokels to grasp. They also planned their escape route. "Let's get out of here," they whispered urgently to one another, wishing they could melt through the floor. But they weren't fast enough. Joe stood on his toes and reached for the microphone. The people of Quincey sat at the very edge of their seats with their mouths agape, hanging on the millionaire's every word. Perhaps some expected to hear a sagacious word of advice, or maybe a stock market tip, while others anticipated another tear-jerking appeal to their collective sense of national honor. Regardless of expectation, Joe did not disappoint. "I love Quincey," he bellowed with surprising volume for such a small man, "because Quincey, Quincey is the people." The crowd went wild! Unable to restrain themselves, the Quinceyites leapt to their feet in a tumultuous standing ovation, their applause breaking into a cadence of cheers that grew even louder. The congressman rushed back to Joe to be photographed with his arm around the Can-Am president's shoulder, and beamed as tens of cameras flashed. With the chorus of "hoorays" giving way to a joyous round of "For He's a Jolly Good Fellow," the St. Joseph High School marching band cranked out its recently perfected "Three Cheers for the Red, White, and Blue" and marched to the town square — with JT at the head of the procession, waving a flag. Joe Tanenbaum had quite clearly understood the audience far better than his entourage of advisers and escorts had. In one simple (rather exotically accented) sentence, he had touched the soul of Middle America. 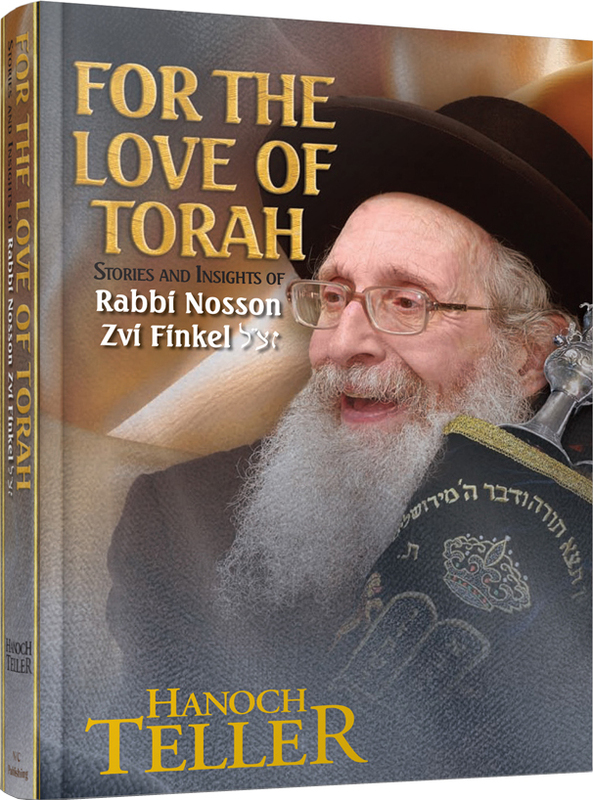 The Polish-born elementary school dropout, Orthodox folk hero, philanthropist par excellence, and life-long iconoclast had shown that he could capture the heart of Jew and gentile alike. Yes, Joseph Tanenbaum had scored again. Bridges of Steel, Ladders of Gold is the rags-to-riches saga of the philanthropist par excellence, who introduced cost-cutting techniques into heavy industry that brought him millions. 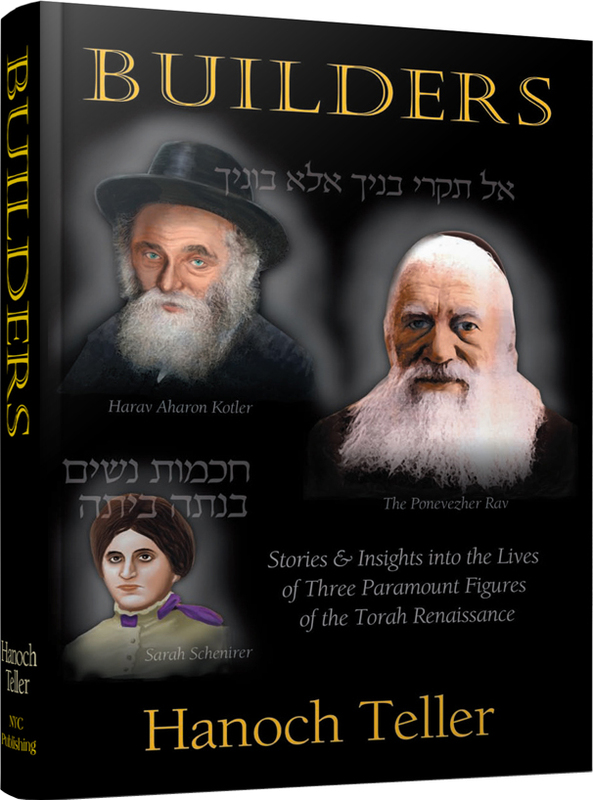 Joseph Tanenbaum, who made his initial fortune building bridges in Ontario, Canada, has since been transforming his bridges of steel into golden ladders of charity and has endowed hundreds of educational institutions. 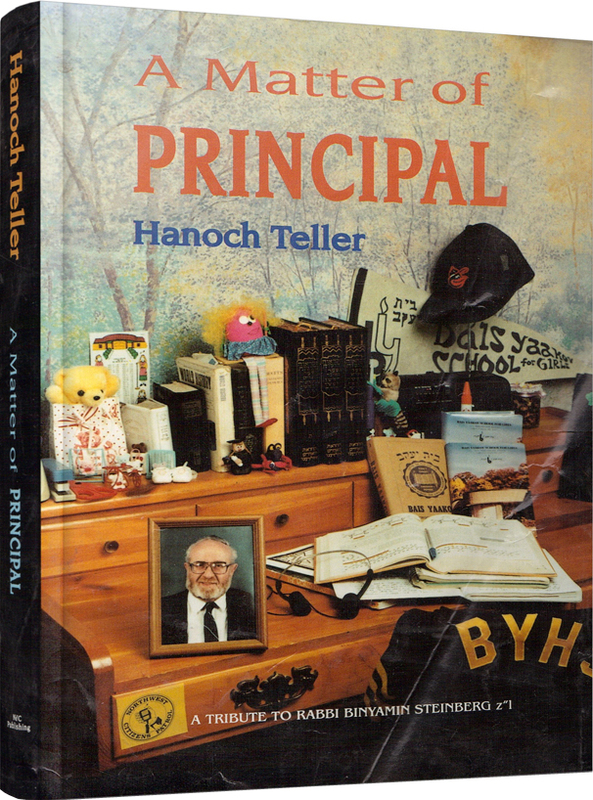 In this most entertaining biography, Teller has produced a Jewish Iacocca. 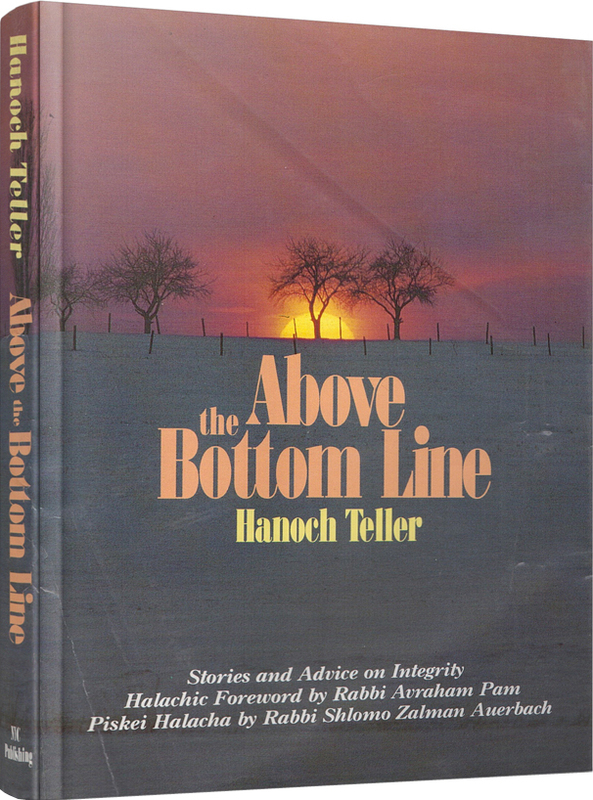 It is great reading and a worthwhile investment: if you don’t learn how to make millions like Tanenbaum, at least you’ll learn how to give them away. “The printed work rarely does an adequate job of describing the merits of an individual. This book, however, is not about an ordinary man. Joe Tanenbaum, together with his wife, Faye, through their outstanding generosity have set a wonderful example for their family and friends.